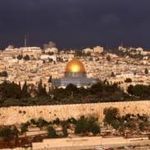 While most Evangelical Protestants are generally friendly to the Jewish people and the State of Israel, there is a small band of Evangelical pastors and professors who want to line up all Evangelicals unilaterally on the Palestinian side. The most egregious example may be Anglican vicar Stephen Sizer, whose has chummed up with the likes of Naturei Karta and Iranian President Ahmadinejad. But Gary Burge probably wields the greater influence. There is nothing like experiencing Holy Week in Jerusalem. Celebrating the greatest events of salvation history and of Jesus’ life at the very sites where they occurred is a moving and unforgettable experience of faith for every believer who can be present. In the plan of God’s rule over history, Israel has a great role to play in preparing the nations for the return of the Messiah in glory. In the twentieth century began the great epochal change preparing mankind for the conclusive event of history: the final coming of the Kingdom of God, for which all Christians pray every day, saying: Thy Kingdom come! Two years after its publication, the authors of the "Kairos Palestine" document held an anniversary conference in Bethlehem, constituting themselves a tribunal before which to arraign all the churches of the world for not showing enough enthusiasm for their original document. המשך קריאה: "Palestinian Theologian" Trashes "Palestinian Theology"
A “bird’s eye view” of the Latin Catholic Church in the Holy Land, including the Latin Patriarchate of Jerusalem and the Franciscan Custody of the Holy Land. The Orthodox churches count among them some of the oldest churches in Christianity. Because they almost all originated in the east they are usually known as the "eastern" churches. The Hidden Roots of the Crisis of the Church in the Holy Land: In the troubled Holy Land, divided and torn by conflict, local Church leaders and Christians of all colors often claim to speak a tireless message of justice, reconciliation and peace. If only more people would listen to this message - so they claim - it would surely dramatically improve the prospects for peace between the conflicting parties in the region.But is this true? המשך קריאה: Elephants in the Room? There has been much excellent academic study of the history of Christianity in the land of its birth. It could fill a whole library. 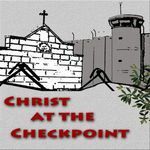 In recent years, however, all that fine work has been eclipsed by the myth, created by the so-called "Palestinian narrative," of Palestinian Christianity. Catholics for Israel are highly aware of the precarious and difficult situation you find yourselves in. We are not against you by calling ourselves Catholics for Israel. It is precisely the concern for the situation you are in and the complexity of your situation that is motivating us to address and speak out those things that today most Catholics are afraid to even think about.